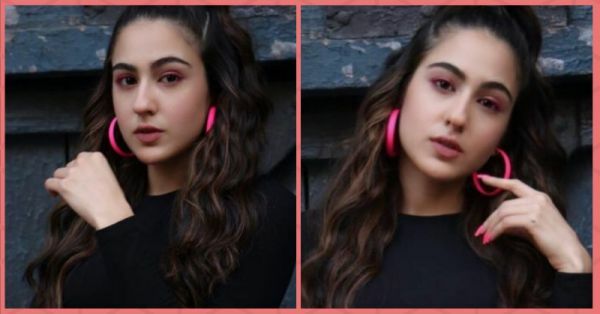 Sara Ali Khan looked like a hottie in pink for the promotions of her upcoming movie 'Simmba'. 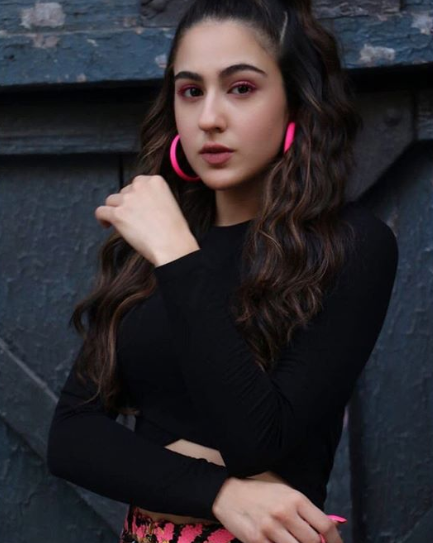 The actress was spotted wearing a black crop top, sequined flares and neon pink hoop earrings! As much as I liked what she was wearing, I couldn't help but notice her matchy-matchy makeup. Pink lids, pink pout, pink cheeks - this diva looked like Barbie in real life! See for yourself. Doesn't she look stunning? I'm lovin' her neon pink nails too! I like how she's stuck to not just one shade of pink, but multiple. For the eyes, you can obviously tell that she's wearing a bright shimmery pink eyeshadow. Her lips are painted a slightly softer hue. They have a lovely dusty rose tint to them, don't you think? 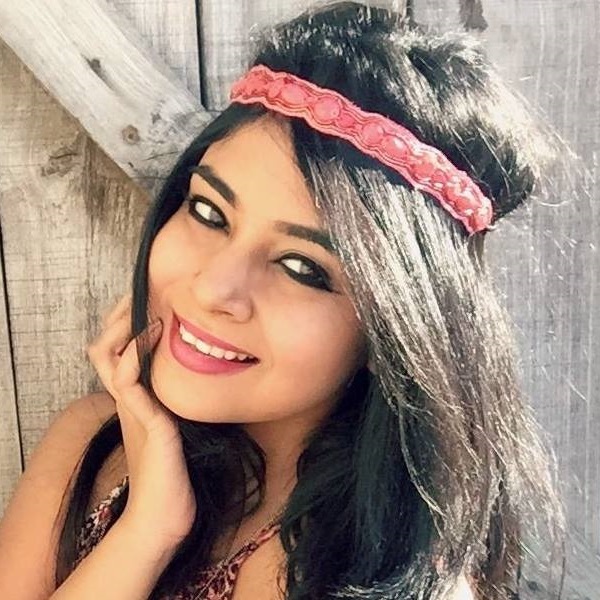 Even though her pink blush is barely visible, it works perfectly well with the rest of her makeup look. This eyeshadow has a cream base and an intense pink sparkle to it. It contains ingredients like coconut oil and aloe extract and claims to keep your eyelids soft and smooth post application. 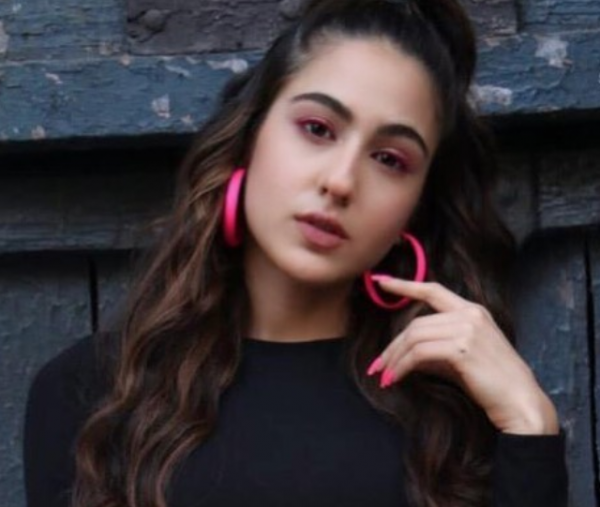 In fact, the eyeshadow shade is quite similar to what Sara Ali Khan is wearing. What's my favourite shade of pink lipstick, you ask? Well, you're looking at it! 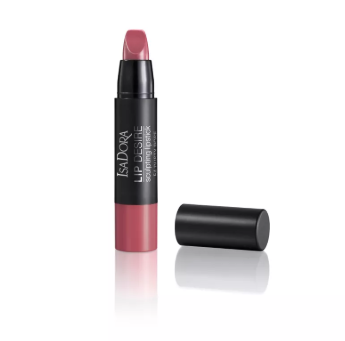 This lippie from Isadora is creamy yet weightless and is designed to add dimension and volume to the pout. 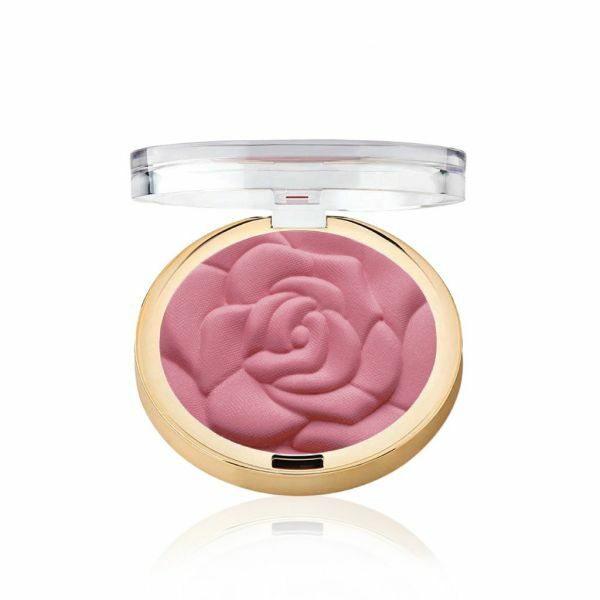 First of all, this rose powder blush is the cutest! This particular pink shade looks so natural and subtle on the cheeks. Anyone who appreciates good packaging will want to bring home this pretty blush.